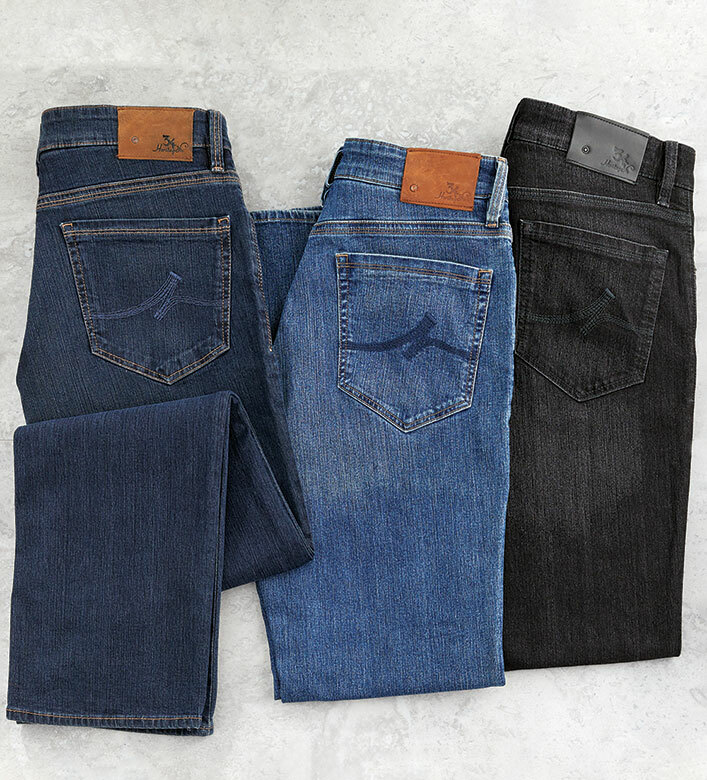 European craftsmanship in a refined five-pocket. Classic waist, straight legs, trimmer in seat and thigh. 76% cotton/22% polyester/2% elastane. Machine wash. Imported. We recommend ordering one size down due to stretch fabric. Best Pair of Stretch Jeans Ever! I am a portly 42"x30",5'11". I wear 34 Heritage charisma , stretch for comfort jeans, and have never been so pleased to have a pair of jeans fit me comfortable from every angle.